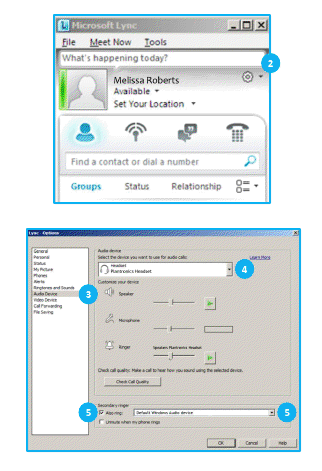 UC - Microsoft Lync Setup with Plantronics Savi W740-M - Headsets Direct, Inc. 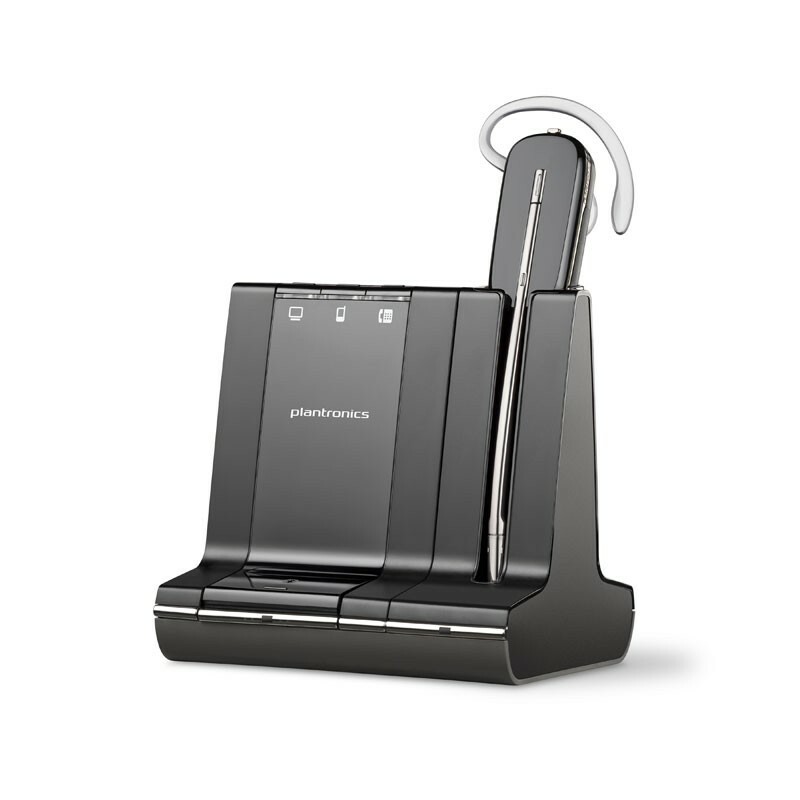 The Plantronics Savi headset is ready to use with your computer and Microsoft® Lync™. 1. Connect your Savi W740-M headset base to the computer. If this is the first time you are connecting, wait for the installation process to complete. Restart the computer if directed to do so. 2. Click on the drop down on the right side of the main Microsoft Lync window. 3. Select the Audio Device option. 4. Choose your Plantronics headset for Audio Device. 5. Check the Also Ring box for Secondary Ringer and choose your PC speakers from the drop down menu if you would like them to ring for incoming calls. 6. In this screen you can also test and adjust volumes. 7. Click Ok when finished. Note: USB configuration settings are unique for each USB port. If you connect the headset to a different port you will need to make these changes again to set behavior for that USB port. To call an existing contact, click on the drop down next to their name (1) and select the number you would like to call (2). You can also enter a phone number manually using the search box located at the top of the main Microsoft Lync screen (3). When a call is placed, a call window will open and the audio will be routed to your headset. When you receive a call, a notification window will appear in the lower right corner of your computer screen (4). To answer the call, use the controls on your headset or click on the call notification window (5). You can also redirect a call by clicking Redirect (6) and choosing one of the options given.